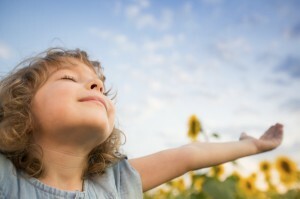 I talk about vitamin D and kids’ health regularly here in the Reality Health Check. But I don’t know if I’ve ever discussed them in conjunction with one another—until now. Of course, vitamin D is an essential nutrient that all children (and all adults) need. But the results of a new study show just how critical vitamin D is during childhood. In fact, making sure your kids get enough of this simple nutrient may be one of the single most important things you can do to protect them from a future of chronic health problems. According to this new research, low vitamin D intake during childhood is associated with a higher risk of atherosclerosis—or hardening and narrowing of the arteries—in adulthood. As you know, atherosclerosis is one of the primary culprits behind heart attack and stroke. The researchers took a look at 2,148 young Finnish people, measuring vitamin D levels at age 3 to 18, using stored serum. The subjects were then re-examined 27 years later at age 30 to 45 with ultrasound screenings. The ultrasound measured the thickness of their carotid arteries, which is an indicator of atherosclerosis. The scientists also accounted for other conventional cardiovascular risk factors, such as diet, physical activity and smoking. These risk factors were measured using detailed questionnaires and confidential medical histories at both childhood and adulthood. They also took other conventional cardiovascular risk factors into consideration, including serum lipids, blood pressure, smoking, diet, physical activity, and obesity. And they still found that subjects with the lowest vitamin D levels were at significantly higher risk of atherosclerosis as adults. I think it’s worth noting that this study looked at folks in Finland, one of the fittest countries in the world. Its obesity rate is less than half that of the US, percentage-wise (around 17 percent, compared to our 35 percent). So the fact that these negative results were seen in such a healthy country makes the results doubly powerful. Imagine if the exact same experiment were performed here in the U.S.. Which brings up another point: In this study, the Finnish researchers defined a “low” level of vitamin D as 40 nmol/L. In this country, a level of 30 is considered normal. No wonder atherosclerosis and heart disease is so rampant in this country. Kids simply aren’t getting the vitamin D they need to keep their hearts healthy. After all, it’s almost impossible to get enough vitamin D through food (especially given the processed garbage far too many kids live on today). And parents are terrified to expose their children to the best source of vitamin D—the sun. Most kids are slathered in sunscreen from head to toe before they even set foot outside. Of course, unless you live near the Equator, chances are you won’t get as many sunny days as you need to produce the optimal amount of vitamin D. So I always recommend taking a good quality vitamin D supplement as well. I recommend at least 5,000 IU of vitamin D3 per day for adults, and 2,000 IU per day for kids. This is a compelling new study, for sure. But it’s just one more entry in the huge body of research that has led me to assert so regularly: Vitamin D is one of the most important supplements you can take. If not the most. Vitamin D is critical at absolutely any age—it’s not just important to overall health, but helps ward off cancer, heart disease, Alzheimer’s…the list goes on and on. You can read more about the benefits of vitamin D by visiting my website, www.drpescatore.com and typing “vitamin D” into the Search function at the top of the page.